Rocks and Minerals. 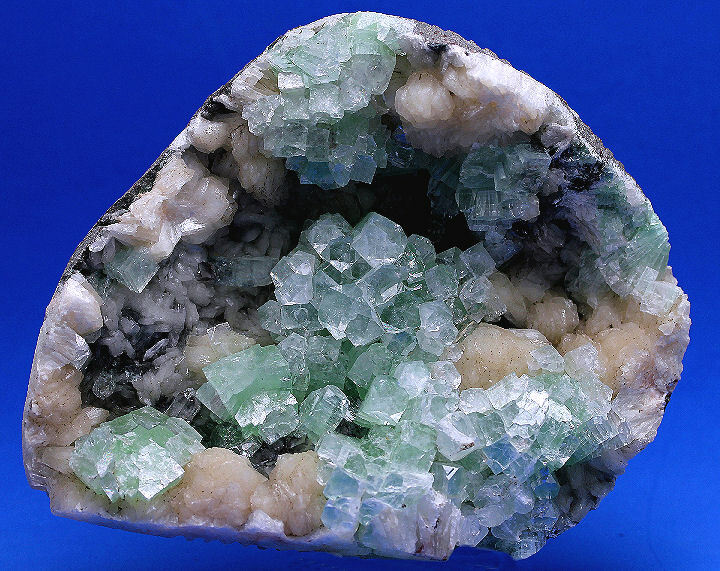 Rock, Mineral and Crystal Specimens. Check out the Apatite with Quartz, Ilvaite, Hemimorphite, Rutile, Hematinic Quartz with Calcite & Chalcopyrite, Bournonite with Pyrite, Arsenopyrite with Quartz & Muscovite, Azurite, Quartz on Lepidolite with Tourmaline, Vanadinite, Wulfenite on Limonite, Blue Barite, Barite on Siderite, Iridescent Chalcopyrite, Spessartine Garnets with Smoky Quartz, Mimetite on Limonite, Chalcopyrite with Quartz, Pineapple Quartz, Calcite on Dolomite with Pyrite & Stibnite, Talmessite on Cobaltoan Calcite, Fluorapophyllite with Stilbite, Rutile on Hematite and Barite on Dolomite mineral specimens on this page. 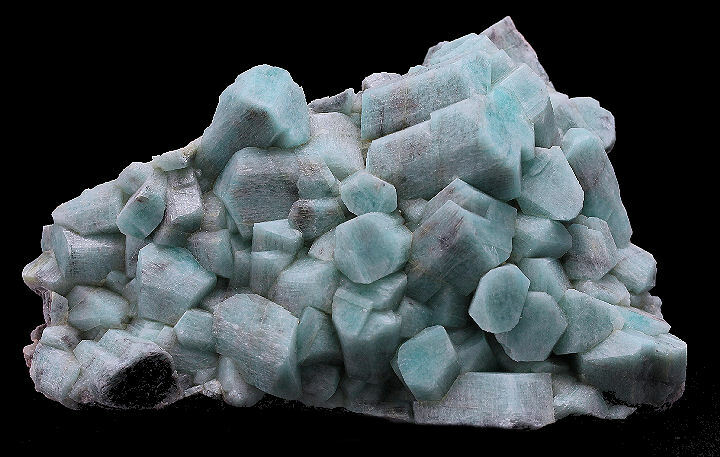 Pristine cluster of light blue Barite crystals on a nicely contrasting brownish matrix. Very attractive !! 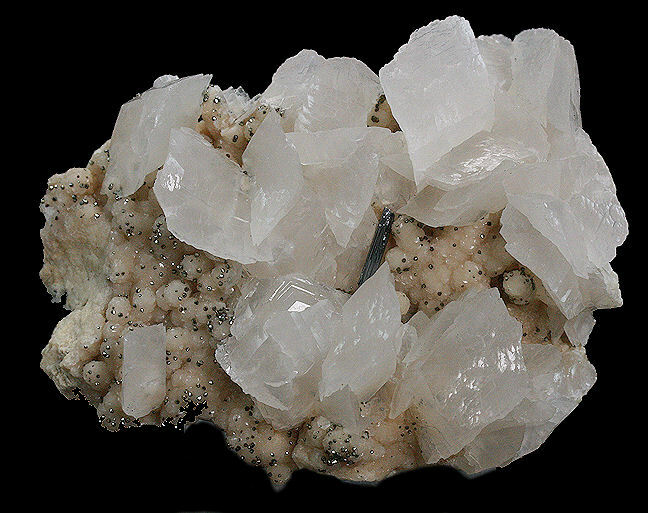 Large clusters of bladed crystals of white Barite with slight dusting of Siderite - all on a Siderite covered matrix. 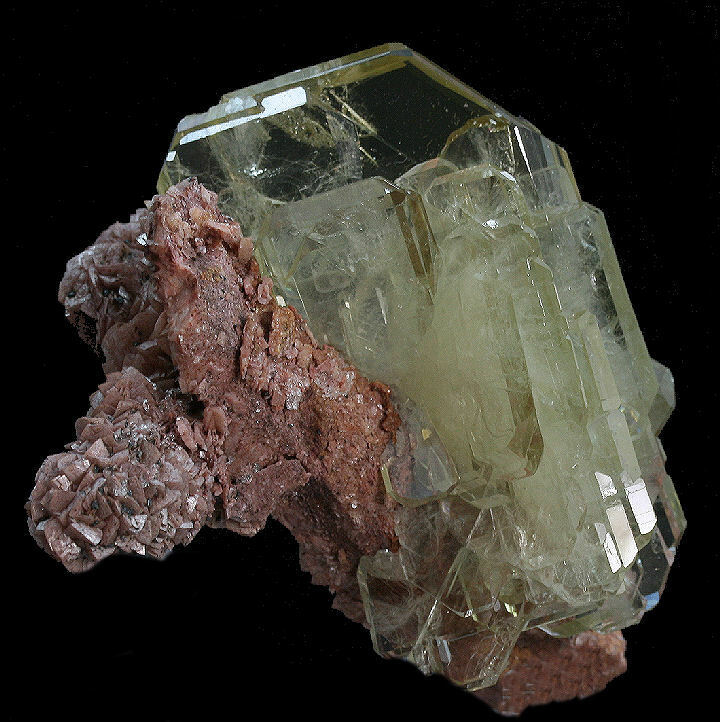 Excellent Barite specimen. 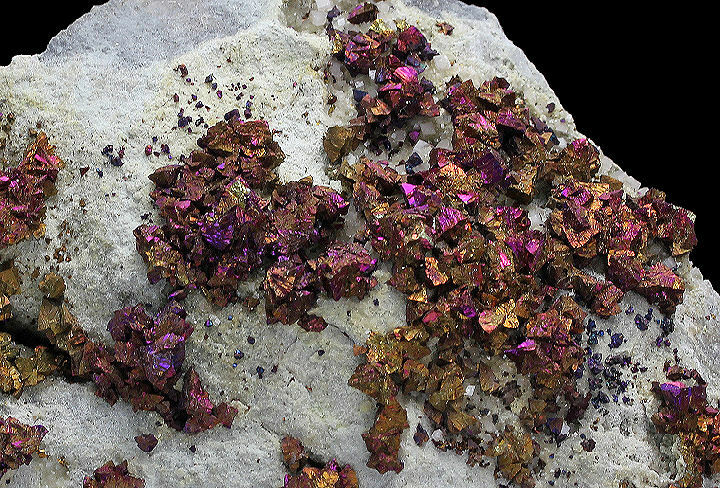 Attractive iridescent crystals of Chalcopyrite on matrix from the famous Sweetwater Mine. 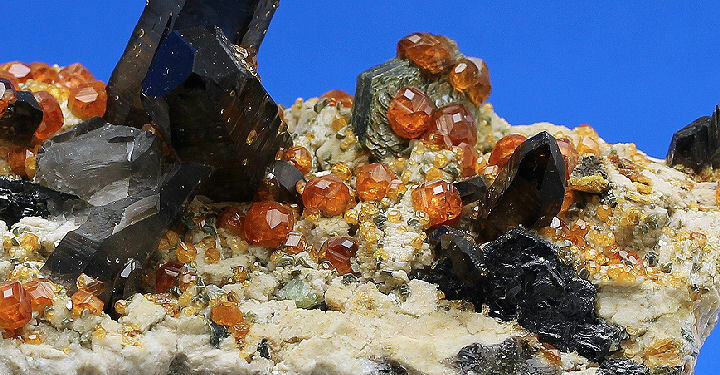 Well balanced specimen of honey colored Spessartine Garnets with a tall central Smoky Quartz crystal (4x1 cm), which is very gemmy (but not very perceptible in the photo) and, with a book of Mica on the right. 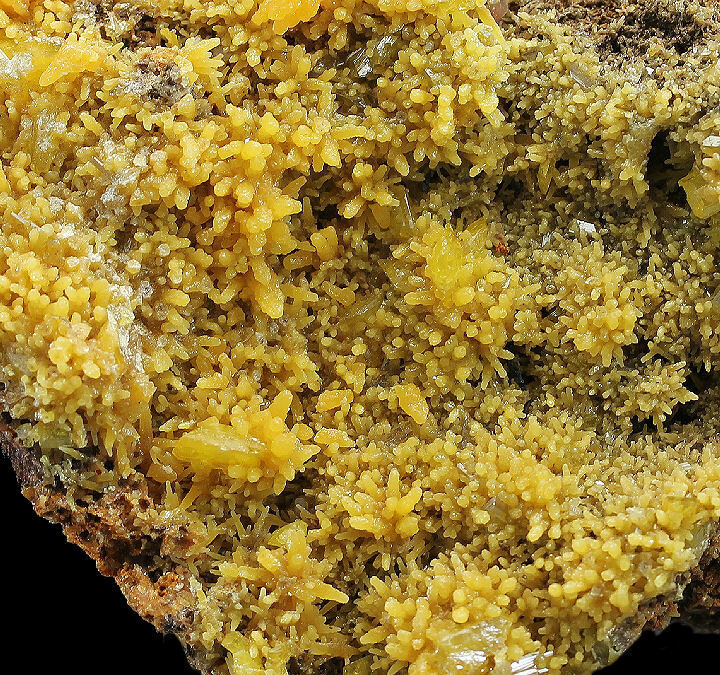 Aesthetic plate of brilliant yellow Mimetite crystals on Limonite. 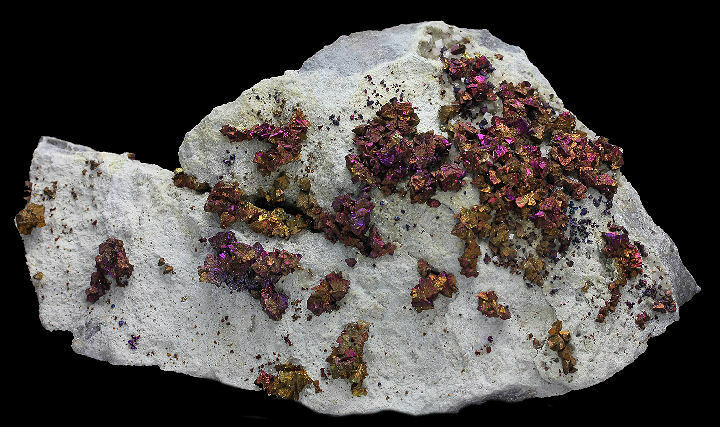 Brilliant, golden Chalcopyrite crystals on a Quartz covered matrix. 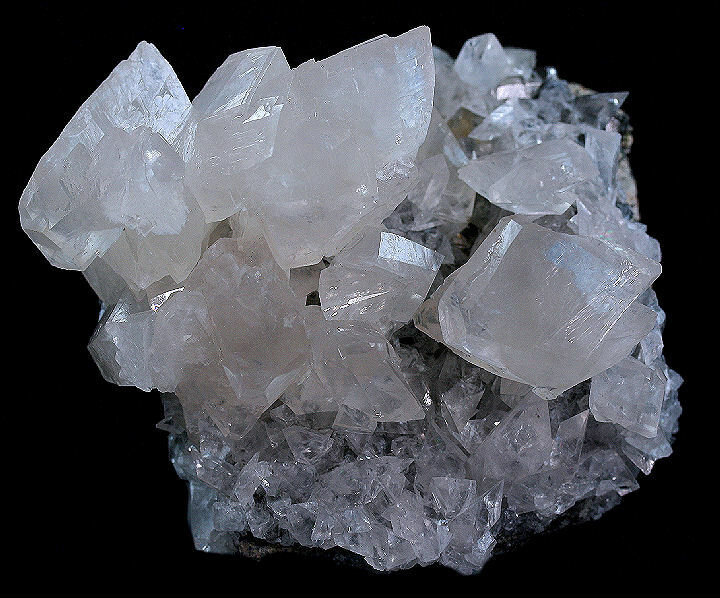 Formation of Hematinic Quartz often described locally as "Pineapple" Quartz. Not common on the market. 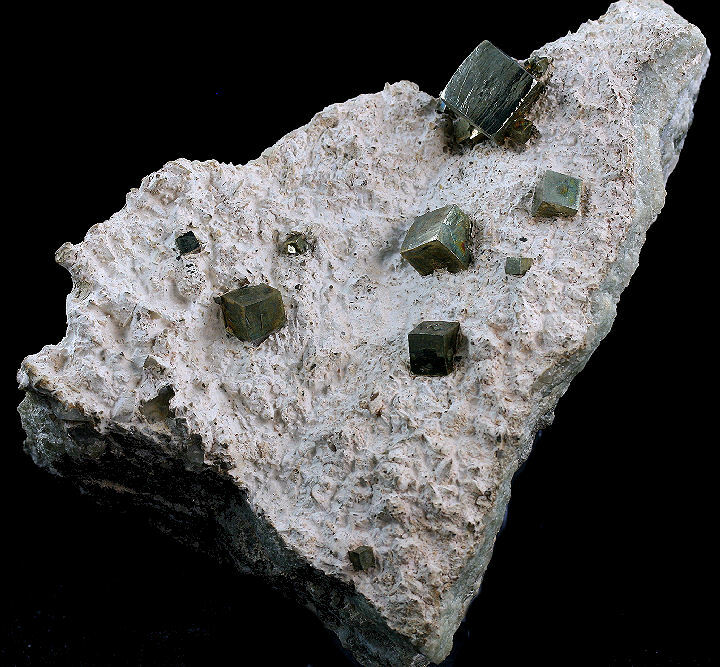 Fine plate of greenish blue Amazonite crystals. 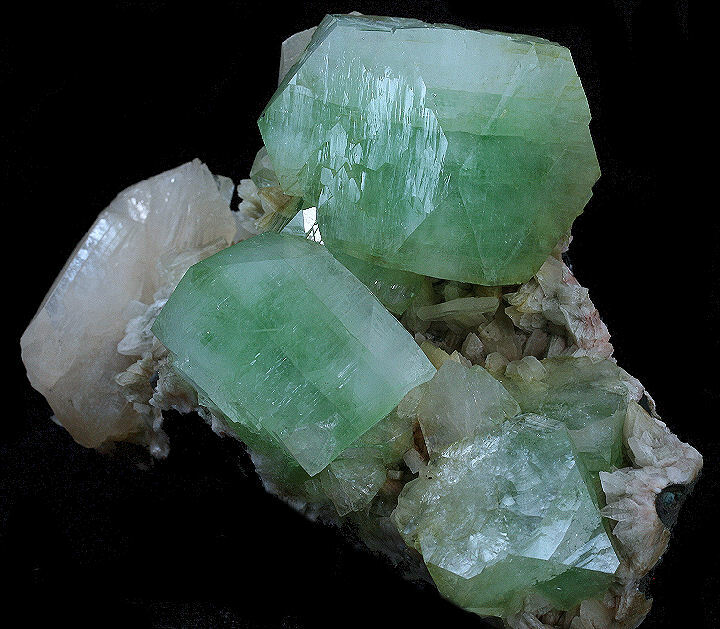 Glassy, green, gemmy, cubic crystals of Fluorapophyllite in a shallow vug with Stilbite. 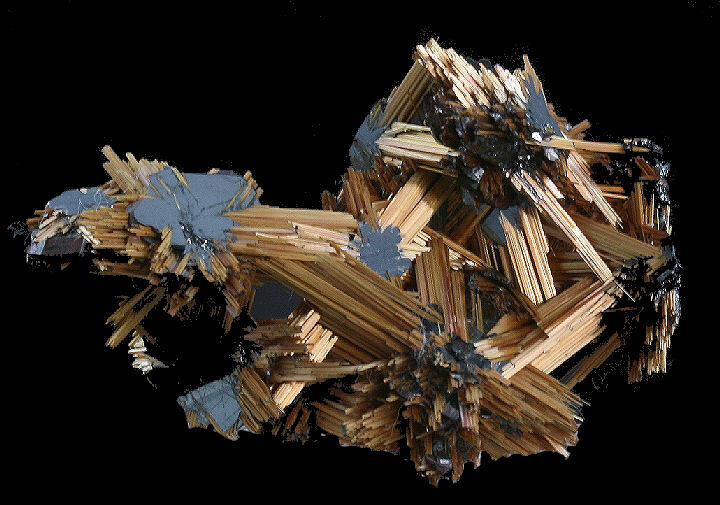 Excellent specimen of Rutile "Stars" on Hematite from the personal collection of the great Brazilian dealer - Luiz Menezes, who told me this one is from the early finds of higher quality specimens. A rich specimen of rare Talmessite from the famous mining area of Bou Azer, Morocco. 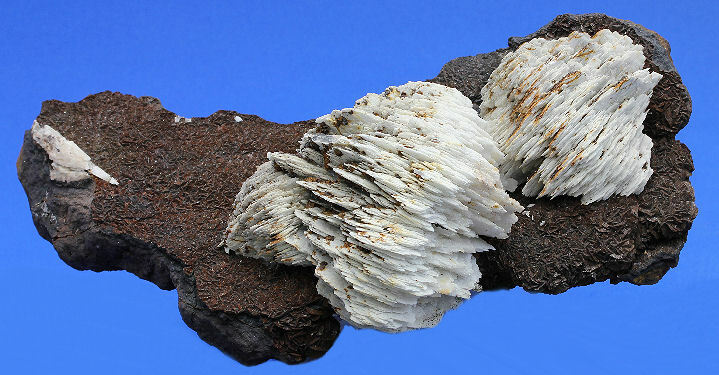 The Talmessite forms a dense covering of intergrown crystals forming a botryoidal druse. 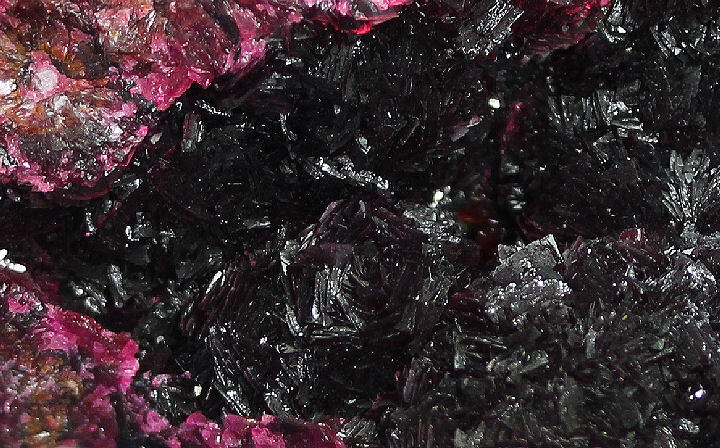 The sparkling crystals are a fine deep maroon to a rich deep pink. 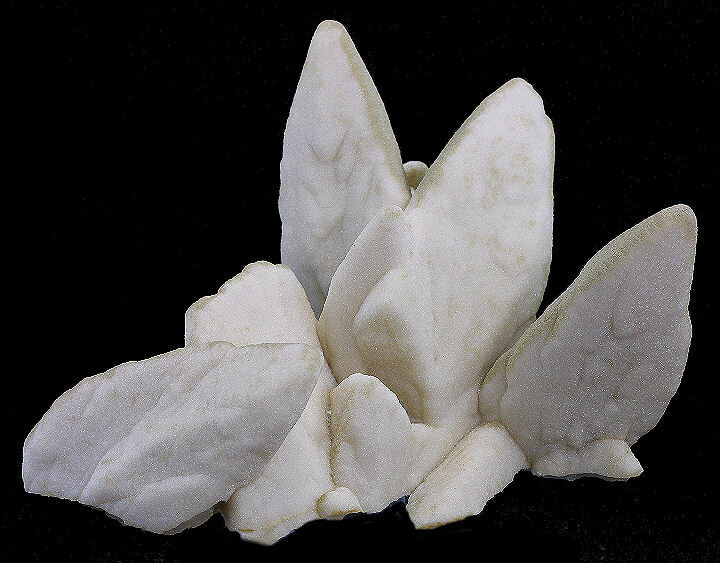 The matrix is a mixture of light pink Cobaltoan Calcite and translucent white Dolomite. Very stunning combination of light cream colored Stilbite with unusual and rarer tabular crystal form of Hydroxy- Apophyllite. Essentially pristine. 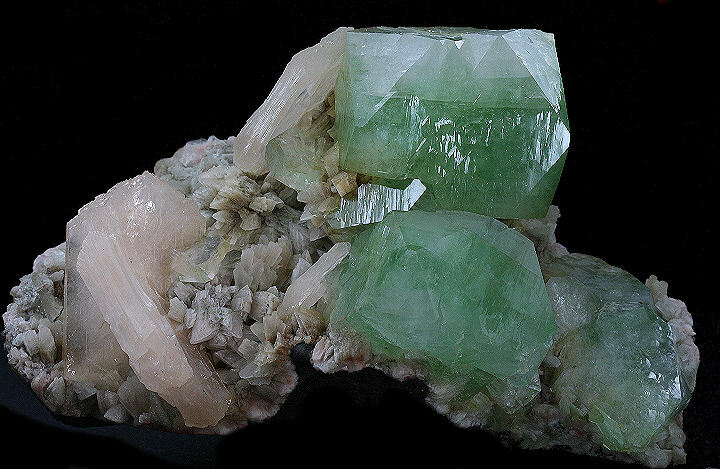 Excellent specimen of beautiful dark green, quasi-cubic crystals of Fluorapophyllite (largest measuring 4.5x4x4 cm) with translucent pale peach colored Stilbite crystal (up to 5x2.5x1 cm). All the crystals are essentially pristine. 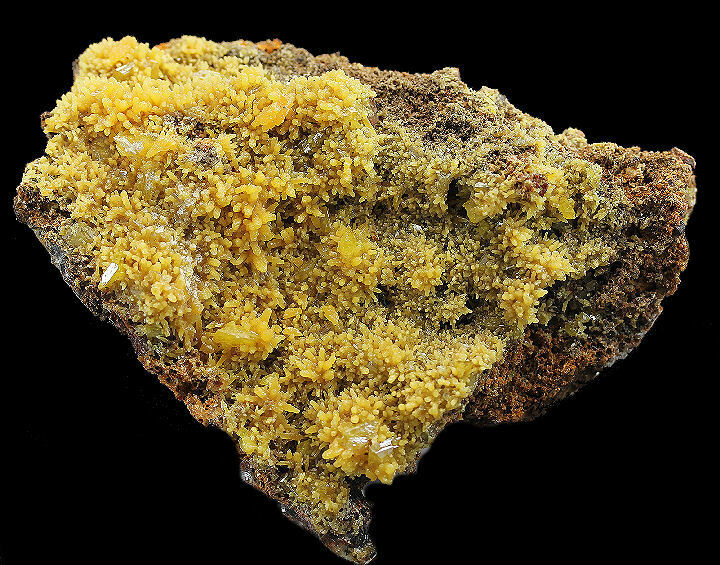 Top quality cluster of very gemmy clear, light golden crystals of Barite with nicely modified edges on Dolomite matrix. 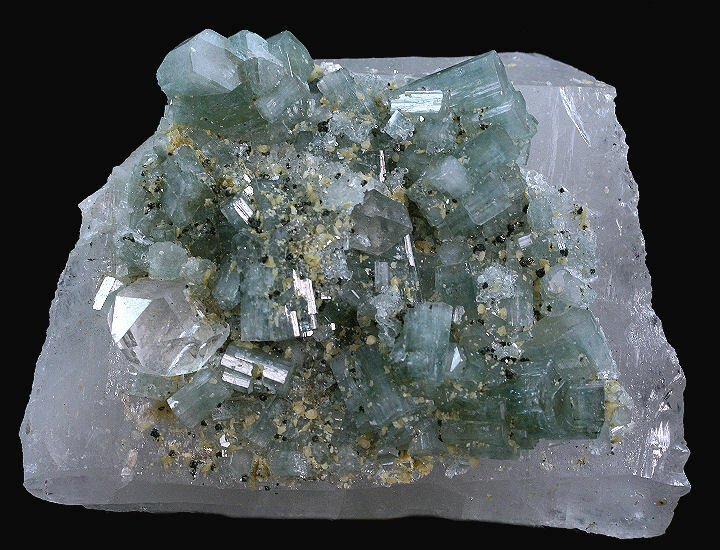 Beautiful clustering of teal blue, gemmy Apatite crystals with a nice, clear Quartz crystal on a substrate of solid Quartz. Also appears to be a scattering of fine Siderite crystals. Wonderful large fan shaped clusters of jet black, highly lustrous Ilvaite crystals from recent finds in Inner Mongolia. Wonderful contrast of lustrous Calcite rhombs on tan colored Dolomite with sprinkles of Pyrite and a lone Stibnite crystal in the center. 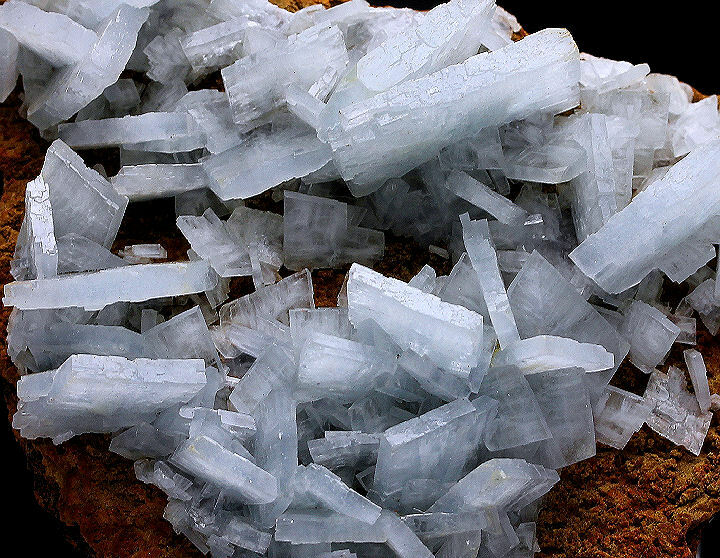 Very nice cluster of Calcite rhombs. In fine condition. 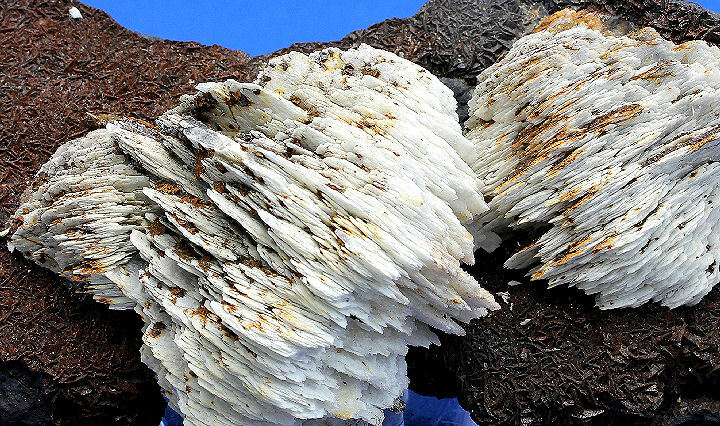 An impressive and highly unusual large Calcite formation from the well known Krushev dol Mine.The exterior of the sharp scalenohedons, measuring to 7.5 cm, has a sugary and drusy layer, which is a secondary Calcite overgrowth. Complete all around and pristine. Interesting Pyrite crystals (to 1.25 x 1.25 cm), with curved edges, on nicely contrasting matrix from a very atypical location. Striking, soft blue banded mushroom cap Azurite concretions on sandstone matrix. Pristine - the white spot is not a ding. Rarely on the market. Gemmy, pristine Quartz crystals on light purple Lepidolite with a central light purple and green Tourmaline crystal. Comes with a custom made stand. 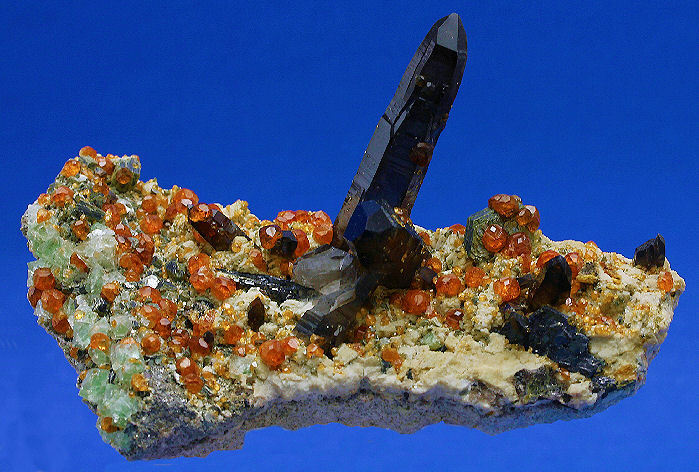 Blood red, hexagonal, lustrous crystals of Vanadinite on matrix. Fine condition. 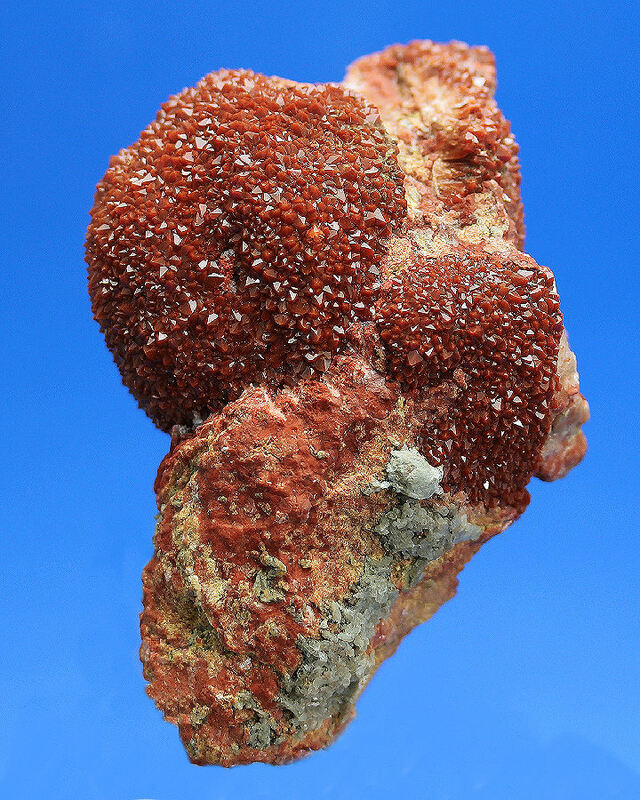 Super specimen of much sought after Red Cloud Mine Wulfenite crystals (to 1.5 x 1 cm) on Limonite matrix. The crystals are reddish-orange in color with wondeful luster. In fine condition. 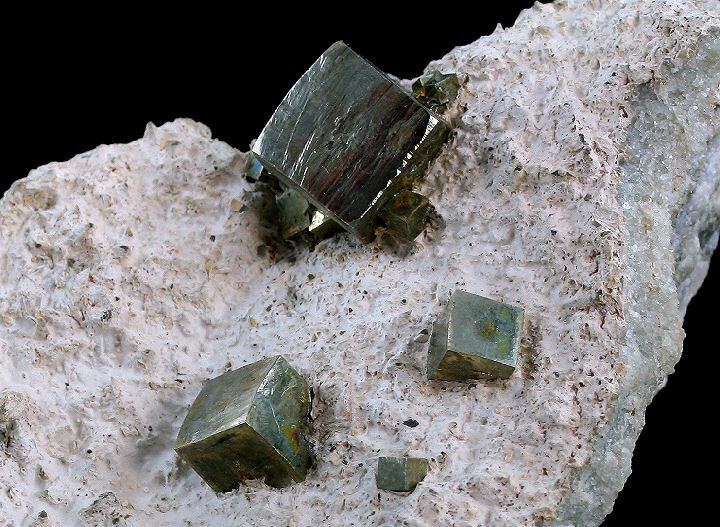 Bright, prismatic, silvery crystals of Arsenopyrite with Quartz and Muscovite. In fine condition. 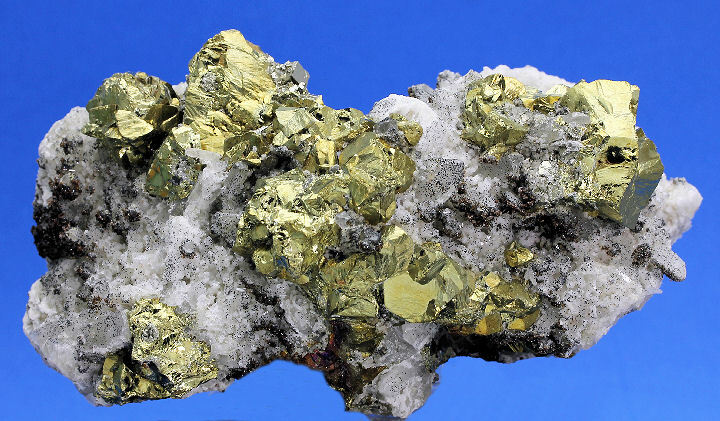 Very nice specimen of well formed, silvery Bournonite crystals with partial coating of fine crystalline, golden Pyrite. 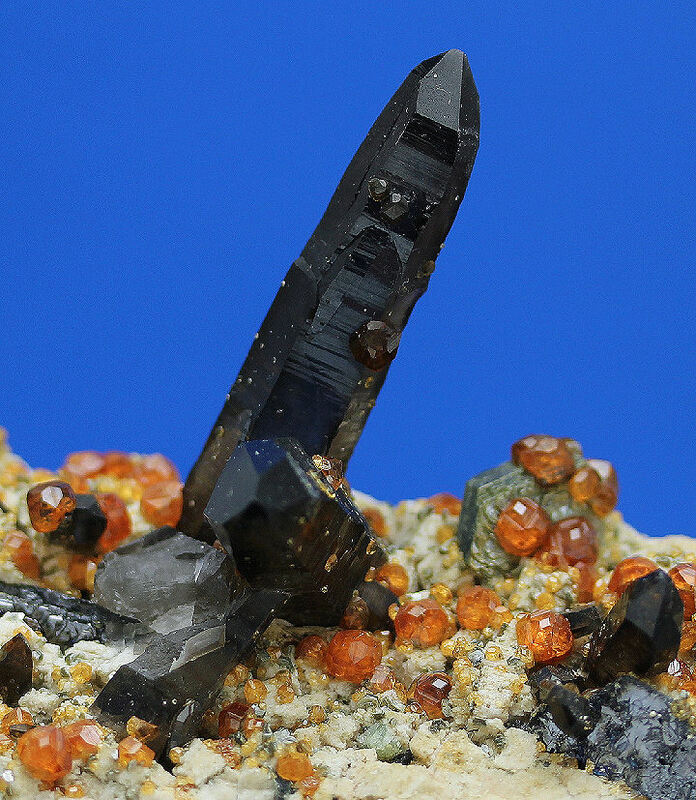 Hematinic Quartz cluster with Calcite and minor Chalcopyrite. 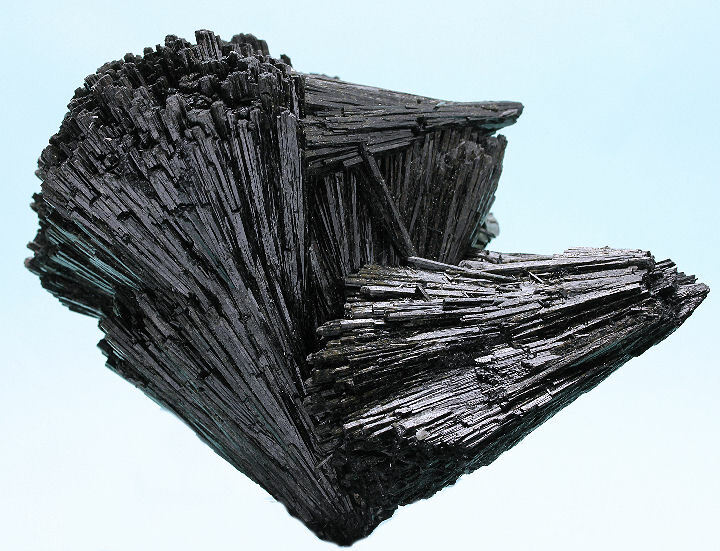 Very nice, lustrous crystal of Rutile from the Ed David Collection. In fine condition. A beautiful and uncommon blue color Hemimorphite from the renowned copper deposit at Kimbedi in the Congo. 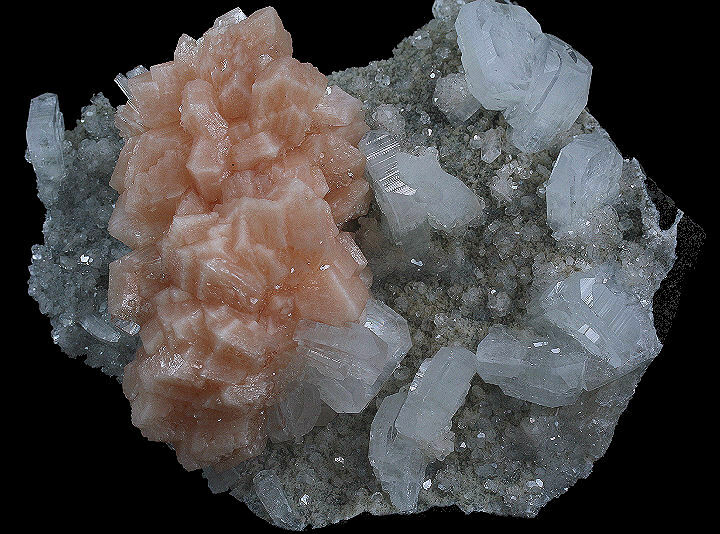 Typically, Hemimorphite is colorless. 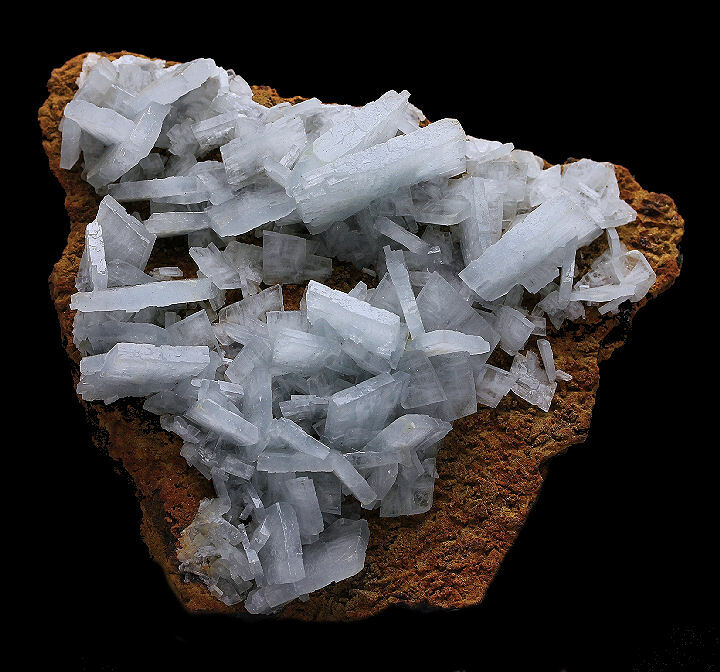 This specimen features wonderfully good quality, soft sky blue crystals on gossan matrix. There have only been a few pockets of these specimens to come out over the last decade.